Supreme Court today refused to entertain a PIL which challenged the validity of the Juvenile Justice(care and protection of children) Act 2015 saying it cannot be a subject matter of a public interest litigation and can only be admitted if an aggrieved comes before the court. Salman Khurshid, the senior lawyer who appeared for activist Tahseen Poonawalla argued that the court must look into the law as it was brought about under huge public pressure and its clauses were against the norms followed across the world on this subject. But a bench headed by Chief Justice TS Thakur was not impressed and asked Khurshid to withdraw the plea. In the PIL It was submitted that the new Act seeks to repeal and replace the existing Juvenile Justice (Care and Protection of Children) Act, 2002 with a draconian and unconstitutional amendment which instead of providing care and protection to Children deems them as adult in cases where the alleged commission of crime by them is heinous in nature. As per the scheme of the amendment act the Juvenile Justice Board under section 15 of the Act will have an arbitrary power to conduct a preliminary inquiry to determine whether a juvenile offender is to be sent for rehabilitation or be tried as an adult. It is submitted that the impugned Act has been brought in place in a knee jerk manner and without keeping in mind the interest of the children. The petition claims that the new Act is in violation of Article 15(3) of the Constitution of India. The stated object of the Act is for the welfare of children, however, the amendment passed makes the legislation draconian and against the idea of welfare of children. It is submitted that the idea behind treating a certain age group as children is to protect the most vulnerable section of the society. In case a crime is committed by the children, the endeavour of the state should be reformative rather than punitive or worse retributive. 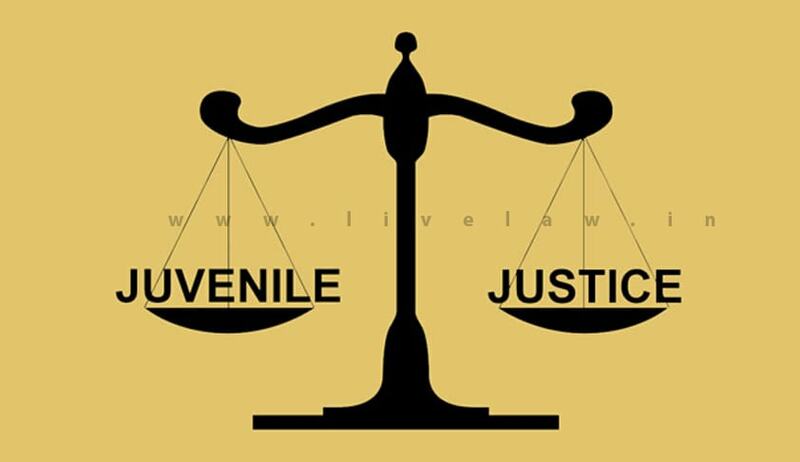 The law of juvenile justice stands on the principles of restorative justice and any digression from the same would be detrimental to the right of the children and in contravention with the principle as enunciated under Article 15(3) of the Constitution. Under the existing law, if a child, in conflict with law, between the age of 16-18 years was found to have committed an offence by the Juvenile Justice Board, there was a range of rehabilitative dispositions that could be passed by the Juvenile Justice Board. These rehabilitative dispositions included admonition, community service, imposition of a fine, probation, group counseling and an extreme measure of deprivation of liberty by way of placement of the child in a special home for three years. These alternatives were in absolute compliance with UN Convention on the rights of the child. In the new legislation, however, the Juvenile Justice Board, a body meant to dispose cases in the best interest of children, is being obligated to decide whether a child should be pushed into the adult system on the basis of a preliminary inquiry. The Petitioner stated that it is highly arbitrary inquiry violating several rights under the Constitution as well as the UNCRC.